These pancakes are amazing in that they’re ultra thin and they don’t tear, even when you roll them up! (More on that following.) Because they’re so thin, they’re really quick to make: requiring hardly any cooking time at all, they’re the perfect thing to make if you’re in a hurry – just be sure to prepare the batter in advance, which partially thickens in the fridge for 15 minutes, or can be left overnight. Light in flavour, they also double as wraps. They can be rolled up easily without any risk of tearing, unlike the usual nature of almond flour products – this even extends to when cooking them, as they can be flipped easily. Even if it bunches up into folds when flipped, with a flipper it can gently be pulled back and made flat, or if it hangs over the edge of the flipper it still won’t tear. The crêpe hangs like a curtain over the flipper. The following recipe is from Jenny Lass and Jodi Bager’s Everyday Grain-Free Gourmet: Breakfast, Lunch, and Dinner. Note though that I have tweaked the instructions to my own style and observations. The original recipe calls for 1/2 cup plus 2 tablespoons almond flour, but I just use 1/2 cup. 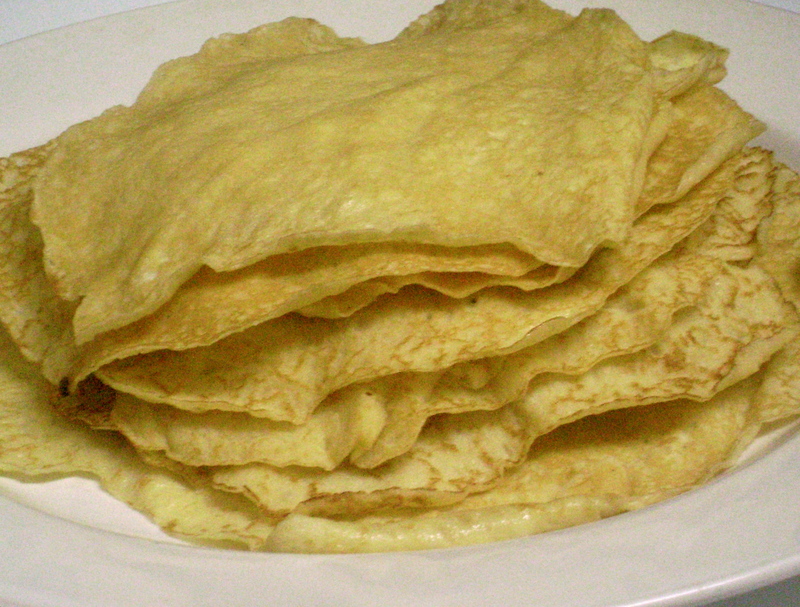 The authors also recommend to use about a teaspoon of butter or cooking oil per crêpe, however the small amount I used at the start of cooking was enough to make all twelve crêpes. 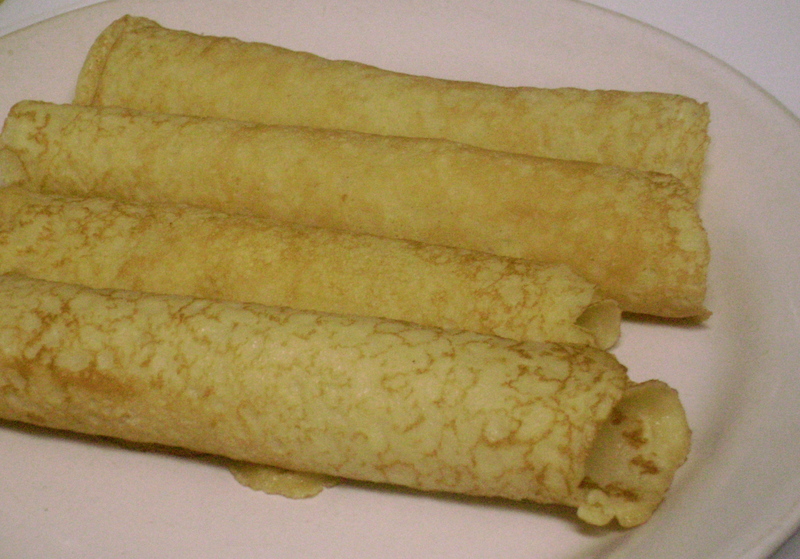 The honey in the batter makes the pancakes cook more quickly, and thus also easier to burn. Do not walk away while cooking, even for a moment – keep a constant eye on them. Update: Try adding 1/2 to 1 teaspoon each of vanilla extract and almond extract to the batter! Slightly more thorough, detailed instructions for preparing the batter and cooking the crepes can be found here. Beat the eggs in a bowl and add the rest of the ingredients (beating the eggs first prevents less lumping from the almond flour). Chill the batter in the fridge for about 15 minutes to thicken slightly. Stir the batter to re-incorporate the almond flour; you may have to do this every time in between crêpes. Heat a fry pan over medium heat with a little coconut oil (about 1 teaspoon). Once it is hot enough that a drop of water sizzles upon contact, add 2 tablespoons of the batter to the pan and before it sets, quickly swirl around or tilt the pan to spread. (My pan is bigger than an 8-inch, so I didn’t make it fully spread and cover the whole surface.) When the top is set but still wet, flip to the other side and cook for a few seconds – yes, it cooks that quickly! 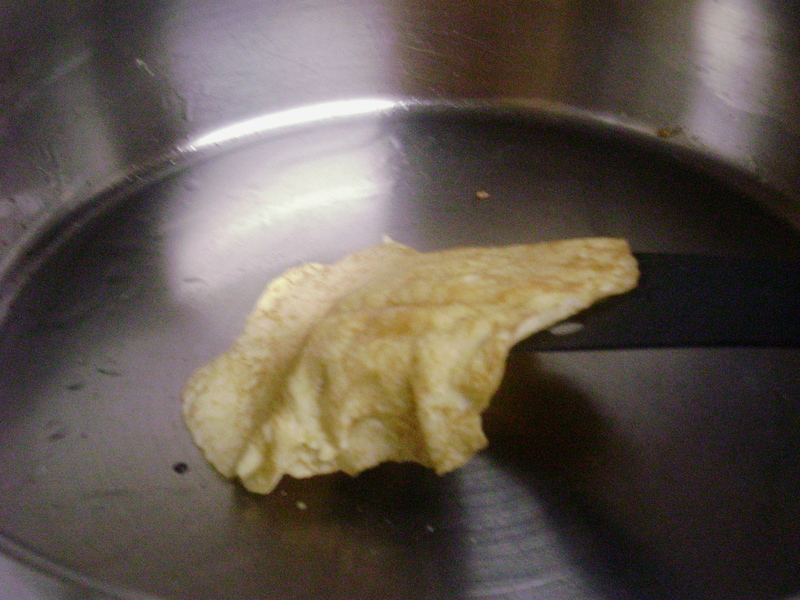 Cook one crêpe at a time, remembering to stir the batter before every addition to the pan. Stack the crêpes on a plate. If freezing, the authors recommend separating them between two pieces of parchment paper or foil as the crêpes stick to the paper or foil. Due to their thinness, they are quick to thaw. Serve with toppings of choice, or roll to make into wraps with fillings of your choice. They are also good just drizzled with honey. Enjoy! I was looking at your other recipes after I saw your custard blog and they are really nice and light but satisfying, too. Sometimes when I cook healthy I feel hungry after because the taste is not always there but I liked these a lot and did cheat by adding whip cream with the fruit. My boyfriend did these but as a breakfast wrap with cheese and egg and some peppers and ate too many because he liked the crepe part! I’m glad you liked them! Your boyfriend’s idea sounds really good, it makes me want to try it out. I tried this recipe today – it was delicious! I added a few drops of vanilla to the batter just because I was paranoid it would taste eggy. But I’m not sure if it really needed it. We had it with cooked pears and strawberry curd. Thanks for sharing! Thanks for the recipe. I just made these and they are perfect and easy. I added a bit of vanilla and used molassas instead of honey. Stuffed with bananas. The kids loved them. My new go to recipe for crepes. I wonder how these would be without the honey added as tortillas for mexican food? Hi Jackie, so glad that they were a hit! They’re my go-to as well. 🙂 You can make them without honey, I’ve used them for sandwich wraps and it’s worked.